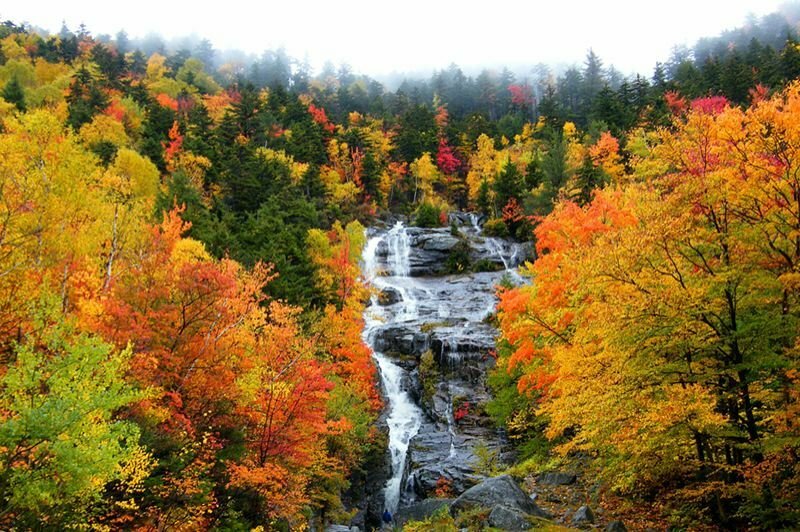 New England's beautiful fall foliage may shift north of the Canadian border due to climate change. — Bess Walker, Clinton, Conn.
A 2016 study by Chinese researchers and published in the peer-reviewed scientific journal Global Change Biology found trees changing color ("phenology") later than in recorded history across 70 percent of the study area (the Northern Hemisphere), presumably due to warmer air temperatures pushing the process back. Also, drought before and/or during the fall can drastically reduce the foliage show, given trees' lack of resources to begin with. Researchers have found that during drought years, trees' leaves tend to turn color early and peter out sooner, if they don't skip the color show altogether and go straight to brown. Granted, droughts come and go and cannot be pinned directly on global warming; but there's no doubt climate change is increasing their prevalence and intensity. And at a more macro level, the overall year-by-year warming trend is forcing many species north in search of the right temperature conditions for optimal growth. To wit, some of the stars of New England's fall foliage show—such as sugar maples, yellow birches and others—are expected to shift their habitat north within the next few decades. Indeed, biologists warn that foliage fans might have to head north of the U.S./Canada border to see these colorful denizens of the autumnal forest by 2100. Meanwhile, other iconic foliage species—such as ashes, elms and oaks—are facing new threats from warming-induced insect outbreaks, with various troops of beetles and borers moving into new habitat with global warming clearing the way for them. One way you can guarantee some kind of fall color display in your yard is to plant a variety of native plants and trees known to turn bright colors in the fall. If there is enough diversity among them, you're sure to get some kind of show every year, even if every plant isn't "turned on."